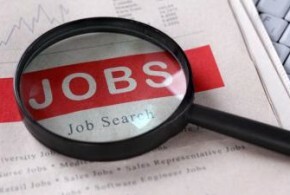 U.S. employers added 214,000 jobs last month, the Bureau of Labor Statistics (BLS) reported Friday morning. Economists had expected payrolls would increase by 240,000, a slight decline from September's preliminary estimate of 248,000 new jobs added. U.S. payrolls grew less than expected in July, a potential sign that the labor market recovery might be cooling following an early summer hiring spike. According to the Department of Labor, the economy added 209,000 jobs last month, coming in under the 233,000 predicted by economists. The national unemployment rate ticked up from 6.1 percent to 6.2 percent. According to numbers from the Labor Department, employers added 288,000 jobs last month, soaring above economists' consensus forecast of 211,000 new jobs. Meanwhile, payroll additions for April and May were revised up to 304,000 and 224,000, respectively, bringing gains in those months up 29,000 higher than previously reported.